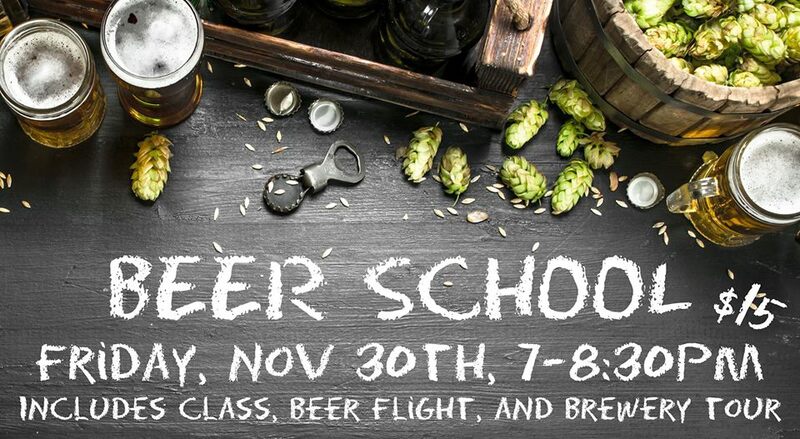 Join founder, Patrick Sundberg, for an evening filled with beer education and beer sampling. Learn about how to taste beer, how it’s made, and a brief overview of the common beer styles. We finish the evening with an in-depth tour of the brewery. Cost is $15, to be paid that night. No tickets required.